Environmental Economics is the first text to concentrate solely on environmental economics--the problems of earth, air, and water pollution from an economic perspective--with an emphasis on both government regulation and private-sector anti-pollution incentives. With the assumption that readers already have an understanding of intermediate microeconomics, the book reaches into more detail on theory and analysis than most other textbooks in this area. Now fully revised in its second edition, Environmental Economics is divided into four primary sections: the first section defines the field of environmental economics in relation to general economics and to ecological and resource economics; the second section is normative, looking at market failure and asks why, even with apparent environmental protection, the market often fails to work properly; the third section is positive, examining government regulation of pollution using the industrial organization literature; and the final section covers more advanced topics, looking at risk, uncertainty, green accounting, international competition and cooperation and development. Including many international examples, the book places special emphasis on the ways that countries around the world approach and control their own environmental problems. 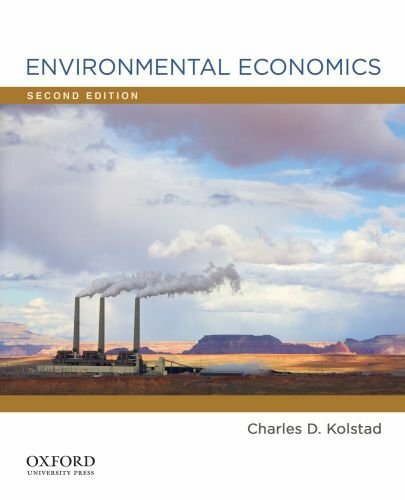 Environmental Economics, Second Edition, is ideal for undergraduate economics courses and beginning graduate courses in environmental management.